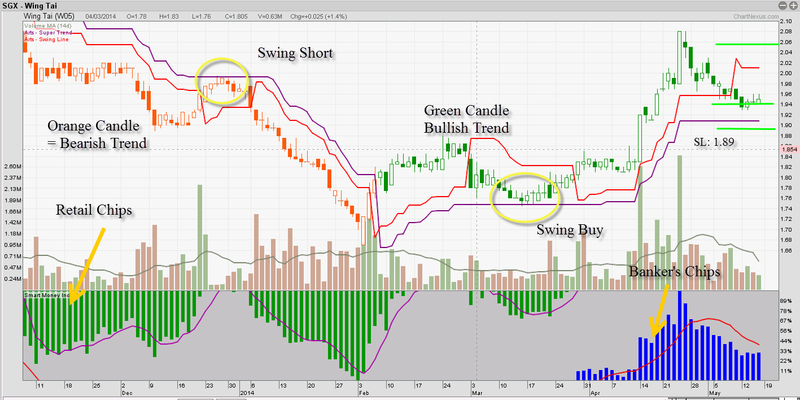 Wing Tai currently have a short term buy set up for swing trade, the previous trend in Mar to May was an obvious uptrend in our Supertrend system it is also indicated as the Green Candle. The swing trade strategy is basically buying an uptrending stock near the Support hence in SuperTrend system, our purple line is the Strong Support, now at 1.91. Further More, our smart money index below the chart short bankers' Chip is still around (Blue bars), this give us additional insights for this trade.